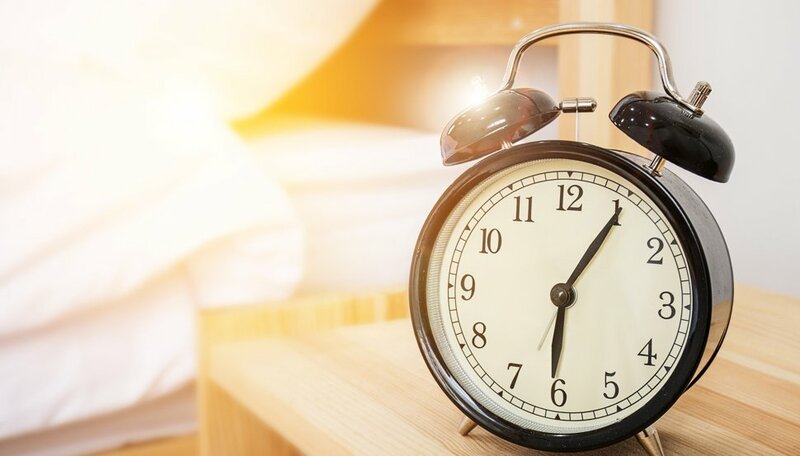 Try to go to bed and wake up at the same time every day, “no matter what.” Sleep is the Swiss Army knife of health, explains neuroscientist Matthew Walker, director of the Center for Human Sleep Science at the University of California, Berkeley. “No matter the ailment, it’s more likely sleep has a tool within the box that will see you well.” Problem is that 97 percent of young people don’t get enough. How much is enough? Shoot for nine hours—more or less. Dr. Walker has lots of bedtime tips—avoid screens, dim lights an hour before bed, lower the thermostat—but keeping things regular tops his list of advice. Feliciano Cespedes et al., “Objective Sleep Characteristics and Cardiometabolic Health in Young Adolescents,” Pediatrics, June 15, 2018. David Morgan, “It’s ‘frightening’ how few young people get enough sleep, expert says,” CBS News, June 25, 2018. Melissa Jenco, “Study: Lack of sleep linked to higher blood pressure, body fat,” AAP News, June 15, 2018.